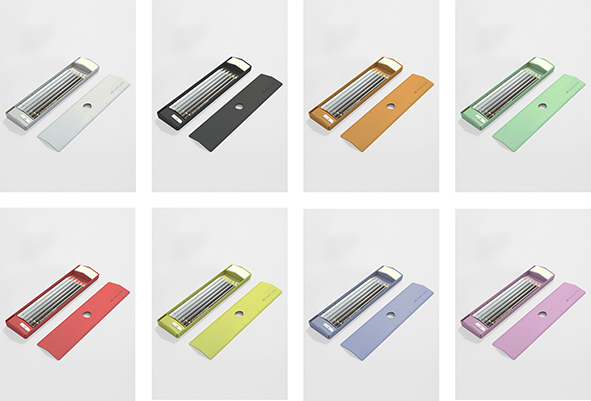 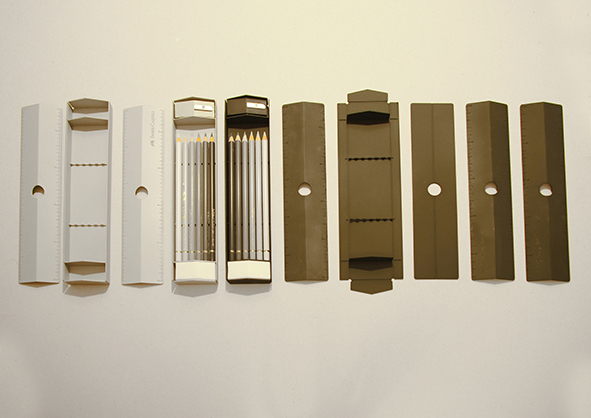 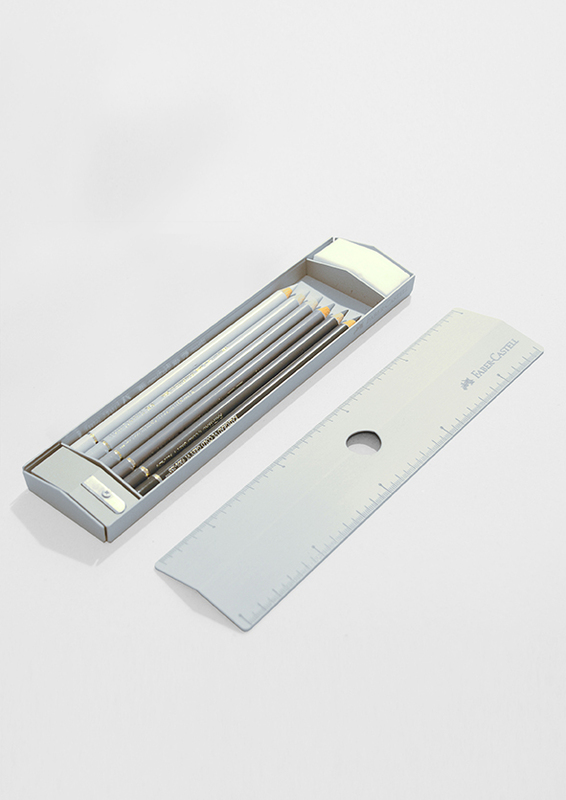 Pencil box in anodized aluminium. 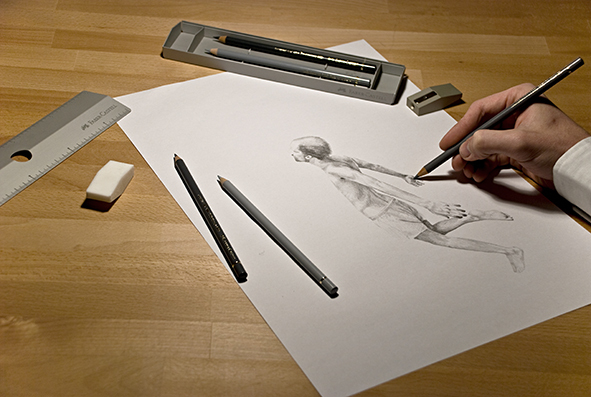 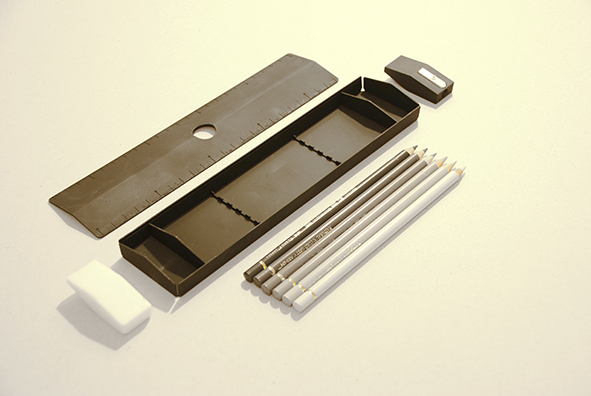 Three-in-one system : ruler, pencils sharpener, rubber. 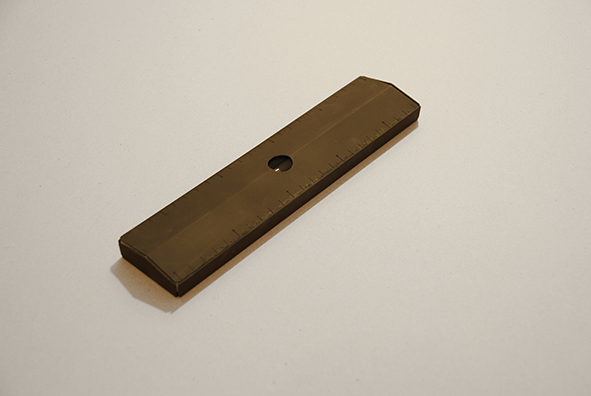 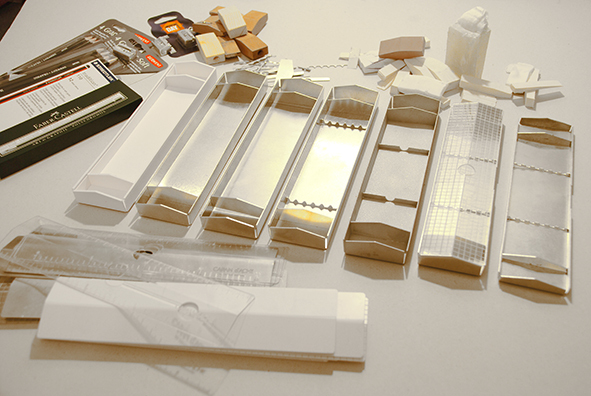 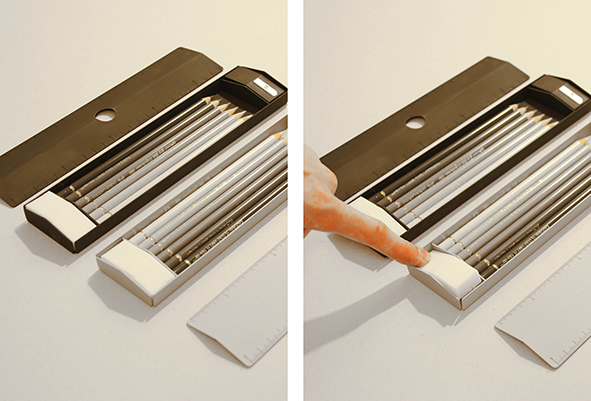 The ruler acts as lid and fits into the pencil box thanks to the flexibility of the material. 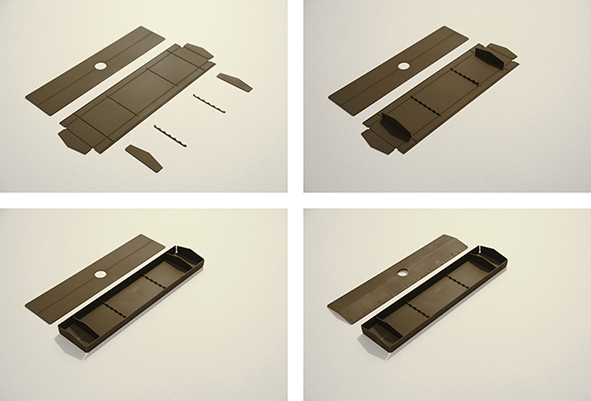 Due to their shapes it is easy to remove them from the box by simply pressing one of their sides.